Sugar cookies are the most popular cookie around these parts (in my life). That is the one cookie that I am known for and it is HIGHLY requested every year. "What can I bring to Christmas?" "Your star cookies!!!". Well, last year I was so busy with commitments that I did not make any for Christmas. You would have thought I had brought coal for everyone when they realized there were no cookies. I am pretty sure that if that happens again this year I will be kicked out. As popular as my cookies are with friends and relatives, I can tell you I can't manage to get an accurate count of the cookies in a batch, as soon as I pull out the beaters the cookie dough starts disappearing. Like magic (CHAD). Chad created this FAB-U-LOUS cocktail to emulate all the things we love about my sugar cookies. The cake and vanilla vodkas combine to create a fabulous cookie flavor. The amaretto is the perfect addition to bring the almond flavor that we love so much in the cookies AND the icing! Kick 'em off and pour yourself one. I know you will love it. Enjoy your parties and remember... A simple party equals a fun party! Festive cocktails and quick and easy finger foods may be the best way to go! Check out this incredible cocktail line up perfect for your Christmas or holiday party! What are you drinking? Click on the photo or link to open in a new window. 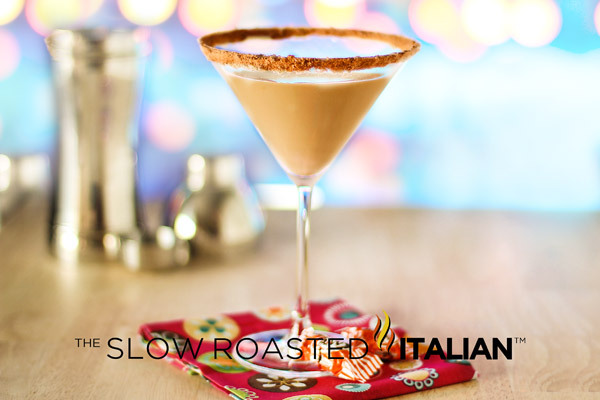 Pecan Pie Martini, an incredibly sweet, creamy, and oh sooo nutty cocktail! Perfect for every holiday party. With an incredible nutty flavor, this Nutcracker Cocktail is the perfect drink to enjoy as you bring in the season. 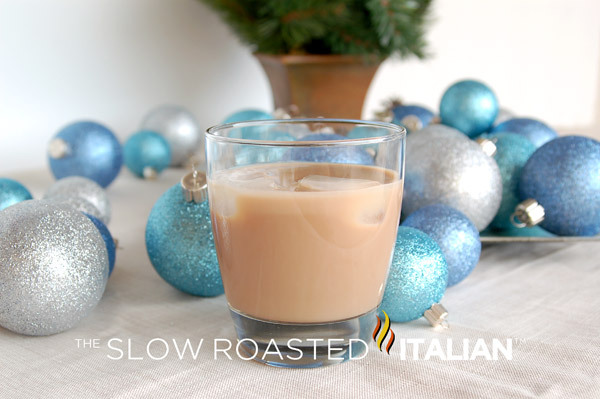 A fabulous blend of DiSaronno, Baileys, Kahlua and vodka come together to create this incredible nutty cocktail. 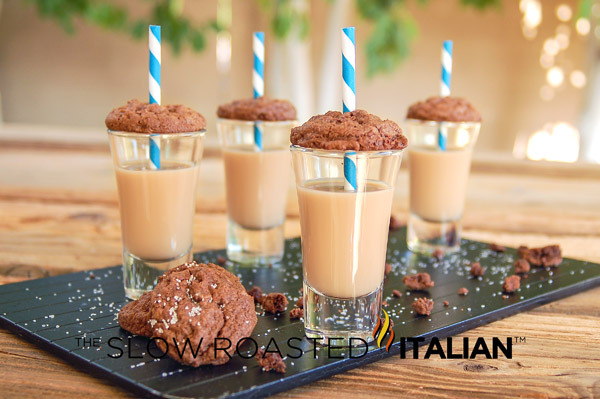 Chocolate Caramel Cookie Cocktail Shooters perfect for any party or any day. Serve with or without the cookie! Root Beer Float Martini - it is like no other. Sweet, creamy and delicious. Pure root beer goodness served up in your new favorite martini! This recipe is an original creation by Chad of TSRI. 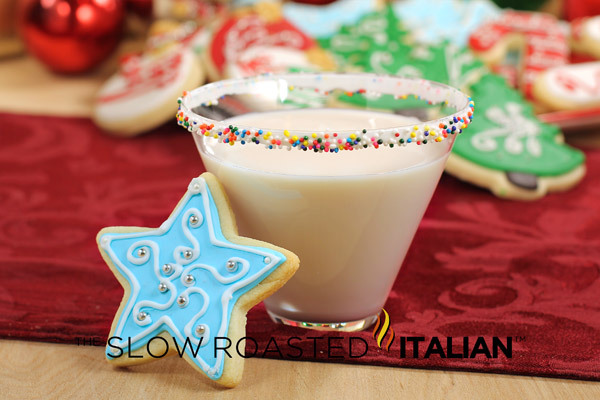 Prepare a martini glass by swirling in a shallow plate of liquid or brushing on sugar cookie icing. Then sprinkle with colored sprinkles. Fill cocktail shaker with ice. Add all ingredients, except those for garnish. Shake until combined. 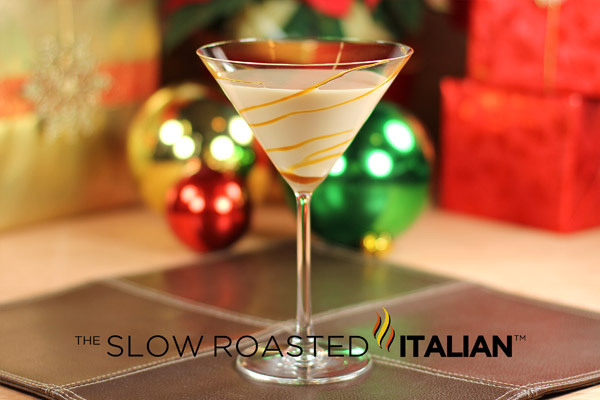 Pour into a prepared martini glass. Serve and enjoy.